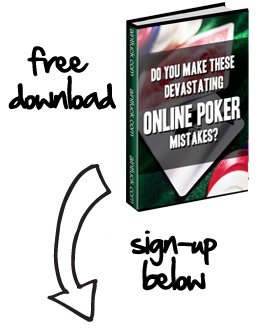 When you’re looking for poker sites to sign up at, Poker VIP programs are one of the most important aspects you should consider. After all, a good VIP program (a.k.a. rewards program) could possibly earn you hundreds or even thousands of extra dollars each month. Unfortunately, not all poker VIP programs are created equal, so you really need to know how to pick a poker room with good rewards. And this process starts with understanding the basics of VIP programs. Rewards programs revolve around the VIP points that players earn while playing poker. These points are offered in both cash games and tournaments, and you’ll earn points based on how much rake you contribute. However, the amount of VIP points you earn varies between tournaments and cash games. For example, a poker room might reward you with 5 VIP points for every dollar you contribute in tournaments, and they would give out 10 points for every dollar you contribute in cash games. To illustrate how VIP points are awarded, let’s say that you’re on a 10-player table and a hand has $2 in rake; most poker rooms divide this rake between the players at the table, so you’d get $0.20 of the rake (worth 2 VIP points). If you played in a $10 + $1 tournament, you’d receive 5 VIP points for the dollar contributed in rake. Some rooms have levels to their VIP club where the high-level members get more VIP points for rake. In addition to this, they also get lots of other perks that reward them for frequent play. Of course, this isn’t to say that other players don’t get plenty of perks through rewards programs too. One of the biggest uses for VIP points involves buying into poker tournaments with them. Basically, this makes tournaments freerolls because you don’t have to pay anything to enter them. Another thing you can do with your VIP points is exchange them for cash where this is allowed. This works great for ring game players who are unlikely to use their points to enter tournaments. If you really play a lot of poker, you can use your points to buy merchandise from the VIP stores. Some of the things you can get from online poker stores include expensive electronics, video games, gaming consoles, laptop computers, poker books, DVDs and poker room merchandise. In short, there is a ton of things that you can do with your VIP points. While most every poker room has some sort of VIP program, some stand out above the rest. PokerStars has a really good all-around VIP program since they have a store, lots of tournaments you can enter with points, and big cash rewards when you hit points goals during a month. Carbon Poker has a nice tiered VIP program where they give out cash bonuses to higher members, allow people to exchange points for cash, run special VIP freerolls, and offer a VIP store. Of course, if you want to go to the ultimate place in terms of VIP stores, Full Tilt Poker has this covered since they offer everything from the aforementioned expensive electronics to luxury cars. In any case, just make sure that the poker room you choose has a good VIP program because they help you generate lots of money away from the tables.